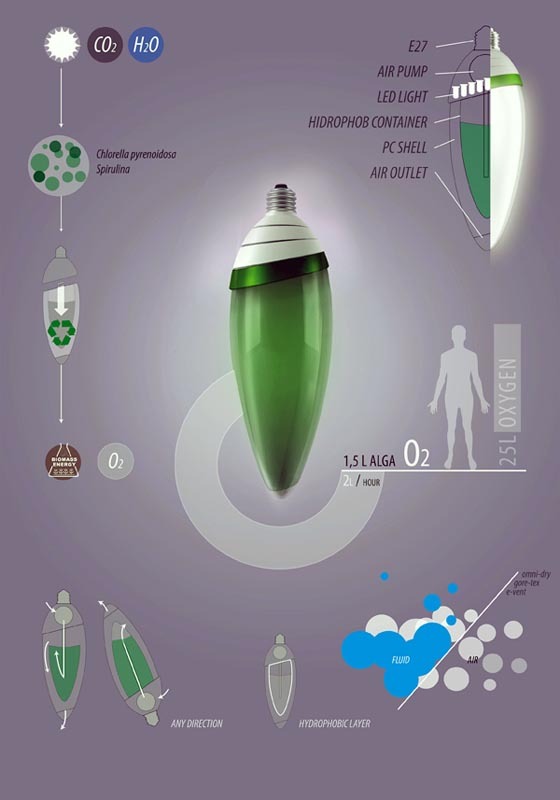 Designed by Gyula Bodonyi, the AlgaeBulb is an exploration into the use of the organisms on a micro-scale in single LED lightbulb that harnesses the green-power of algae. 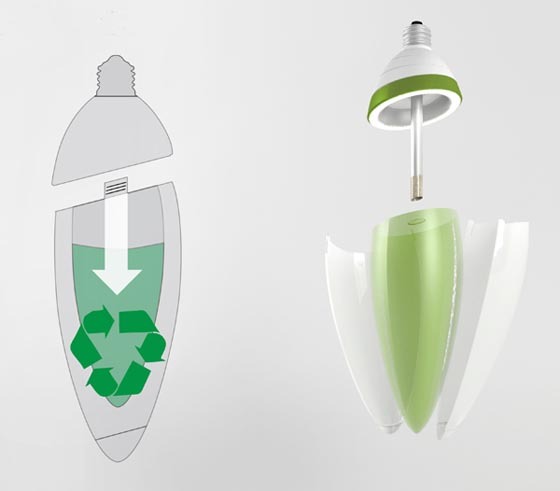 It is LED bulb with extra air pump at the head part. 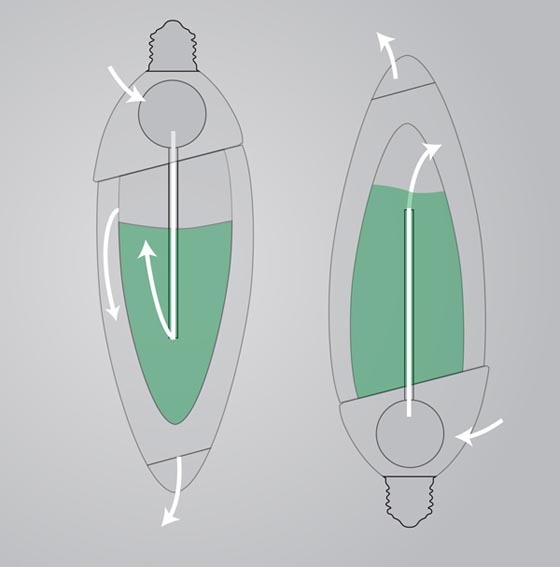 This pump compress the air into the algae tank covered with a hidrophobic material, that keeps the fluid content in the tank and let the air flow free. 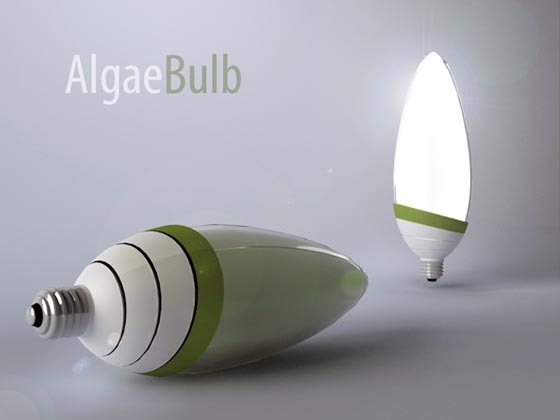 While algae flourishes, it gives off oxygen, which in turn powers the tiny LED inside. 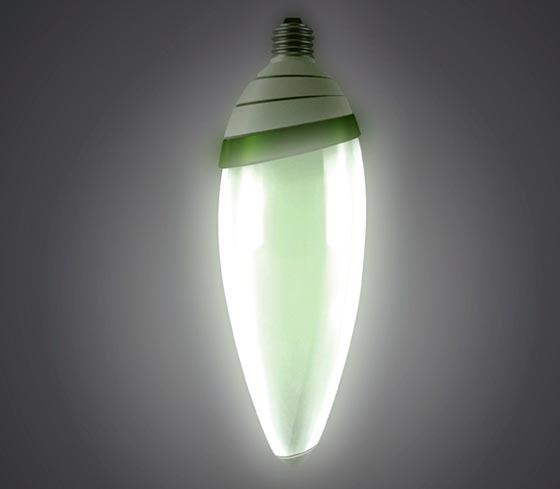 When the AlgaeBulb is not illuminated, it appears to be a dark green; a result of the colony of micro-algae living within. When illuminated, it gives off a slightly green tinge on the interior, making for a green bulb that is literally “green.” Until now. This is just a concept design.